The Vikings scored 4 runs in the first inning and added another 11 in the second inning to take a 15 - 0 lead. Josh Lovvorn led the Emerald attack with 3 hits and 2 RBI's, while James Childress, Cruse Tollison, and Stephen Gary all added two hits each to stake the Vikings to the early lead. 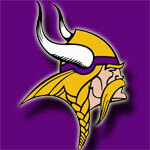 The Vikings eventually won the contest 16-0 and moved to 21 - 3 on the season. Cruse Tollison pitched the complete game shutout for his 5th win of the season. Tollison struck out eight batters and walked none. Emerald was able to clear the benches in this contest and played a total of twenty different players. Emerald will play #2 Seed Chapman at 12:00 on Saturday. This game will be played at home. Chapman defeated Pendleton 3-2 on Thursday night. Senior OF/P Cruse Tollison has been selected to play in the North-South All-Star Game played in Myrtle Beach at Coastal Carolina University. Tollison has had an outstanding senior season for the Vikings this year as he is leading the team with a .434 batting average, 33 hits, and 10 doubles. Tollison also is 5 - 0 on the season with a 1.79 ERA. Tollison becomes Emerald High School's fourth North-South baseball selection. Joseph Bishop ('99), Will Gary ('04), and Justin Lovvorn ('05) were the previous three players selected to play in this prestigious event. In 1999, Joseph Bishop was named the MVP for the North squad. All three of these young men represented Emerald High School well at this event. On behalf of the coaches, players, and fans of Emerald Viking Baseball, we would like to congratulate Cruse on this great accomplishment. Emerald's bats were quieted by Gilbert pitching as the Indians put the Vikings into the loser's bracket in the Upper State Championship Round. Emerald finsished the game with only 2 hits and committed three errors while losing to Gilbert 3 - 0. Tyler McGraw and Josh Lovvorn had the only two Viking hits. Brandon Miller pitched 5 and a third innings giving up 4 hits and 3 runs. Jason Alexander came on in the 6th inning and recorded the final two outs. Josh Lovvorn threw out two baserunners attempting to steal. The loss drops the Vikings to 23 - 4 on the season. Blake Moore turned in a spectacular pitching performance as the Vikings beat Pendleton 9 - 1 in the District 3 Championship Game. Moore pitched a complete game allowing only 1 earned run while striking out 6 and allowing 4 hits. The win was Blake's 6th win of the season and his 5th complete game of the season. The win put the Vikings at 23 - 3 on the season. Moore received plenty of support from his teammates as the Vikings tallied 11 hits and scored nine runs. James Childress led the attack with 3 hits and 3 runs. Andrew Holland had two hits including a bunt single. Blake Moore, Brandon Miller, Josh Lovvorn, Cruse Tollison, Stephen Gary, and Tyler McGraw all contributed with 1 hit each. Brandon Miller had the game winning RBI as he drove in 2 runs with a single in the 2nd inning with the score tied at 1 - 1. Stephen Gary also had 2 RBI's on the night. Justin Davis and Hunter Dowis scored runs as Dowis also had his third stolen base of the year. The win was a big one for the Vikings as it gets them to the Upperstate Championship Bracket for the second year in a row. Emerald will play at the winner of the District IV Championship Bracket on Saturday. Brandon Miller pitched his second career no-hitter as the Vikings defeated the Chapman Panthers 4 - 0. Miller's first no-hitter was in the 2005 playoffs against Liberty High School. Miller recorded 10 strikeouts while walking two batters in route to his fifth shutout of the year. The win puts him at 10 - 0 on the season and the team is 22 - 3. Cruse Tollison led the Vikings at the plate with two hits and two runs. Tollison's aggressive baserunning provided an insurance run in the fourth inning. Cruse showed great hustle by taking two bases on a hit and run situation in which the ball never left the infield. Ryan Wilkie had a sacrifice fly in the 2nd inning to put the Vikings on the board. Tyler McGraw then followed with a 2-RBI single to centerfield to make the score 3 - 0. Andrew Holland also added a single. Four different Vikings stole a base in the contest. The Vikings will now play the winner of the Chapman - Pendleton game on Wednesday at Emerald High School at 5:00 pm. In a hard fought contest, the Vikings beat Batesburg-Leesville 14 - 10 to advance to the Upper State Finals for a rematch with the Gilbert Indians. The win was the 25th of the season for the Vikings (25 - 4) which broke the previous school record set in 2005. A tremendous crowd showed up for the contest which pitted two Region III-AA rivals. The game started out well in Emerald's favor as the Vikings scored 3 runs in the top of the 1st inning. Batesburg answered with 4 runs in the bottom half of the inning. After three complete innings, the scored was knotted at 6. Emerald then built a 10 - 6 lead only to have it wiped away by a grand slam off the bat of the BL leadoff hitter. With the score tied at ten, Freshman James Childress entered the game and retired 9 of the 10 batters that he faced to earn the win. The Viking offense added 3 more runs in the sixth inning and 1 in the seventh. Josh Lovvorn led the Vikings at the plate with 4 hits including two doubles and 4 runs. Andrew Holland also provided support with a 3 for 3 night and 2 runs scored. Seven other Vikings had hits on the night including, Blake Moore, Cruse Tollison (2-run HR), James Childress, Stephen Gary, Ryan Wilkie, Tyler McGraw (2-run double), and Hunter Dowis. Blake Moore turned in a great pitching performance as the Vikings defeated the Rebels of Mid-Carolina 4 - 1. The win was the 7th career win against Mid-Carolina for Moore. Aside from the outstanding pitching performance, Moore also got the Vikings on the board in the first inning by lining a triple to leftfield. Courtesy runner Justin Davis scored when Cruse Tollison singled to leftfield. Hunter Dowis also scored on the Tollison single. Dowis was running for Josh Lovvorn who was hit by a pitch. Tollison later scored on a Mid-Carolina passed ball. Three runs proved to be all the Vikings would need as Moore kept the Rebel hitters at bay throughout the contest. Emerald added an insurance run in the second. Stephen Gary singled then advanced as the pitcher attempted a pickoff and threw the ball into the rightfield corner. Tyler McGraw then lifted a sacrifice fly to deep centerfield. Defensively, Ryan Wilkie and Tyler McGraw made great catches. James Childress had an outfield assist at third base, his second such play against the Rebels this season. This win was the 24th of the season for the Vikings and it tied a school record. Emerald's overall record is now 24 - 4. The 2006 baseball season was one full of excitement and championships. Despite losing 3 - 2 to the Gilbert Indians in the Upper State Championship game, the Vikings ended the season with a new school record - 25 wins. The 2006 team also won the Emerald City Classic, their third consecutive Region III-AA title, and their second District 3 Championship in as many years. In the contest versus Gilbert, Brandon Miller pitched an excellent game only to come away with his second loss of the season. Miller surrendered seven hits and three runs in his thirteenth appearance of the year. Twelve of those appearances were starts. Miller ended the season with a 10 - 2 record with a 0.76 ERA. The Vikings collected only fours hits in the contest, two doubles by Miller, a single by Tyler McGraw, and a single by Andrew Holland. The Emerald baseball team scored eight unanswered runs, five in the fourth, to overcome a 4-0 deficit and defeat Abbeville 8-5 to advance to the District III championship game Wednesday against Chapman. Trailing 4-0, the Vikings got a lift from its defense as Senior Corey Barnes went vertical to snag a line drive off a Panther bat to end the fourth. The Vikings responded at the plate by scoring five runs. Wade Scott led off the fourth with a single to third. Justin Lovvorn followed with a single to right moving Scott to third. Lovvorn advanced to second on the throw to third. Scott then scored the first run of the game on a wild pitch. After James Childress walked, Barnes would single home Lovvorn to cut the lead to 4-2. Childress would be cut down at the plate on a ground ball to short for the first out. After another fielder's choice put runners at the corners, Blake Moore drew a walk to load the bases. Milton Brown then hit a ball back up the middle that hit Panther pitcher Justin Campbell in the upper chest, plating Barnes. After a scary several minutes, Campbell was OK and resumed pitching. Brandon Miller then singled home the tying and go-ahead runs to give the Vikings a 5-4 lead. The Vikings would add another run in the fifth. Justin Lovvorn's one-out double was followed by a ground ball to third off the bat of Childress, but the third baseman's throw sailed over the first baseman's head allowing Lovvorn to score. The game was put out of reach in the bottom of the sixth. With one out, Milton Brown reached second when his fly ball was dropped in left field. Miller then singled home his third run of the game to make it 7-4. Wade Scott then singled, and Justin Lovvorn walked to load the bases. Childress then plated the final run with a sacrifice fly to left to plate Miller. Meanwhile, after a shaky start, Viking pitcher Justin Lovvorn had settled down and threw four scoreless innings before finally allowing another run in the seventh before being replaced by Blake Moore. Moore retired the final two batters to earn his third save of the season. The Vikings were led at the plate by Brandon Miller with two hits and three RBI, and Justin Lovvorn with three hits. The Vikings next travel to Chapman Wednesday at 5:00. The Emerald Vikings did the unthinkable. After falling to Chapman 17-7 on Saturday, the Vikings refused to lose and defeated Chapman twice, 11-7 and 5-2, to win the District 3 Championship and advance to the Upper State bracket. It was the Vikings' first ever District Championship. In game 1, the Vikings jumped on the Panthers early and kept pressure on the Panthers the entire game, and Blake Moore (5-2) pitched very effectively as the Vikings came away with an 11-7 win to force a second game. The Vikings jumped out to a 6-0 lead. However, the Panthers would not go quietly, but every timet they scored, the Vikings would answer. After the lead was cut to 6-2, the Vikings immediately responded and pushed the lead back to 6. In the fifth, Chapman posted four runs to cut the lead to 8-6, but the Vikings added a pair in the sixth to push the lead to 10-6. A quartet of Vikings had a pair of hits to pace the 13-hit attack in game one. Milton Brown, Wade Scott, Justin Lovvorn, and Moore each collected two hits. Game two was more of a pitching duel, as the teams combined for only nine hits. Brandon Miller was up to the task of shutting the high powered Panther offense down, as he allowed just four hits to improve his record to 9-1. The Vikings again would respond to the Panthers' scores. After falling behind for the only time in either game in the top of the first, the Vikings answered Chapman's run with four of their own in the bottom of the first. Back to back to back singles by Brown, Miller, and Scott plated the first run. One out later, James Childress's single to right plated the second run. A ground out by Corey Barnes drove in Scott with the third run, and Josh Lovvorn's single plated Childress with the fourth run of the inning. Chapman would close to within 4-2, but they could not get any closer. The Vikings now advance to the Upper State bracket against Chesnee. Game time is 7:00 Saturday night at EHS. Blake Moore scattered four hits while striking out 10 Chesnee batters as the Vikings won the first game of the Upper State Playoffs 1-0 over Chesnee. Moore (6-2) got out of a bases loaded jam in the second and retired 13 of the last 14 batters he faced. The Vikings had eight hits, and they failed to capitalize on a couple of early scoring chances. The Vikings scored the only run of the game in the fifth inning. Brandon Miller reached base on a one-out single to right. After Wade Scott flew out to deep center, Justin Lovvorn turned a hit-and-run into an RBI double to plate Miller. The Vikings were paced by Miller and Andrew Holland who each collected a pair of singles. Lovvorn and Moore added doubles, while Josh Lovvorn and James Childress collected the other hits for the Vikings. The Vikings will now play at Liberty Tuesday at 7:00. Brandon Miller was not to be outdone. One day after Blake Moore threw a four-hit shutout, Miller went one better. Miller threw a No-hitter, the second in EHS history, struck out 11 Liberty batters to lead the Vikings to a 2-0 win and a spot in Friday's Upper State Championship game. Miller not only did the job on the mound, he also had a stellar game at the plate. Miller had four of the Vikings' seven hits including three singles and a double; however, the double was the most important one. With one out in a scoreless game in the fifth, Miller lined a double into the right-centerfield gap which easily scored both Blake Moore and Milton Brown, both of whom had walked. Miller made sure the runs stood up. He only once allowed a runner to reach second, a fourth inning bases loaded jam that he created by walking one and hitting two batters. He ended the threat by striking out the Liberty batter on a 3-2 pitch. James Childress added a pair of singles to the Vikings' attack, and Blake Moore made several outstanding defensive plays at third base to keep runners off the bases. The Vikings will now host the Upper State Championship game Friday at 5:00 against the winner of the Broome/Liberty game. The seniors decided they were not ready to end their last year of high school baseball. As a result, the Viking bats came to life with 12 hits on their way to a 9-2 win over Liberty to capture the Upper State Championship Friday night. Junior Blake Moore pitched effectively in earning his seventh win of the season allowing only single runs in the first and second innings, but it was the senior leadership that put its mark on the Vikings' first ever Upper State Championship. Milton Brown had four hits and scored four runs while fellow seniors Wade Scott, Justin Lovvorn, and Corey Barnes all added 2-run hits to lead the Vikings. After falling behind 1-0 in the top of the first, Milton Brown tied the score when he opened the Viking half of the first with a triple and scored on a wild pitch. Trailing 2-1 in the third, Moore doubled. Brown moved courtesy runner Justin Davis to third with a single over the infield. Brown and Davis then pulled off a perfect double steal to tie the score at 2-2. After Brandon Miller singled and moved to second on the throw home, Wade Scott gave the Vikings the lead for good with a double down the right field line. Two run singles by Justin Davis and Corey Barnes in the fifth and sixth innings gave the Vikings plenty of cushion. Moore did an excellent job of damage control. Liberty was able to get the tying runs on second and third in the fifth, but was able to get out of the jam without allowing any more runs. Moore only threw 91 pitches in the 7 inning complete game. The Vikings now advance to the State Championship best of three series against lower state champion Bishop England beginning Monday.